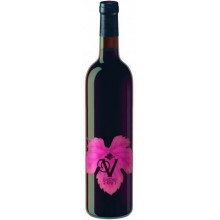 Vértice Grande Reserva Red Wine is a Douro DOC produced by Caves Transmontanas, Lda. An Excellent Portuguese wine. Tasting Notes Very dark with violet nuances. The nose picking wild fruit, flowers, spices and smoked. The mouth follows the nose denoting a structured body, tannins to prove. The finish is long and dense lasting sensations of dark chocolate.